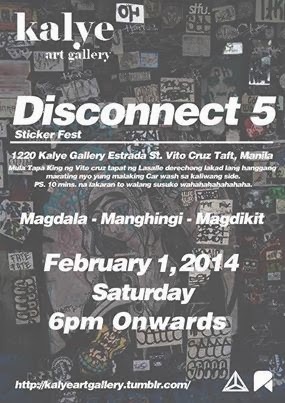 Home Disconnect 5 events Kalye Gallery stickers DISCONNECT 5! Get your stickers ready for the most awaited and biggest sticker fest up north! Erratum: Disconnect 5 will be held on February 1, 2014 not February 4, 2014 as seen in previous poster.